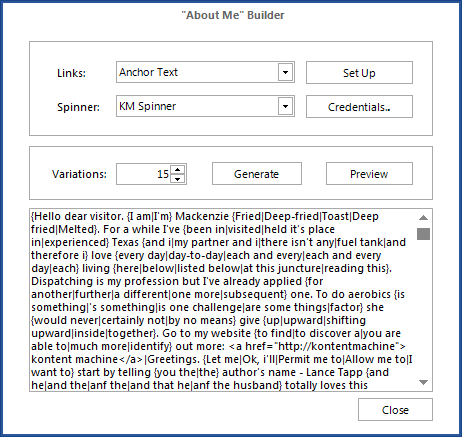 Kontent Machine can build “About Me” snippets for you either while building content or separately. Go to Tools and select “About Me”. Select if you want to have anchor text, naked URLs, or no links.